What started as an April Fools’ joke has taken on a life of its own. 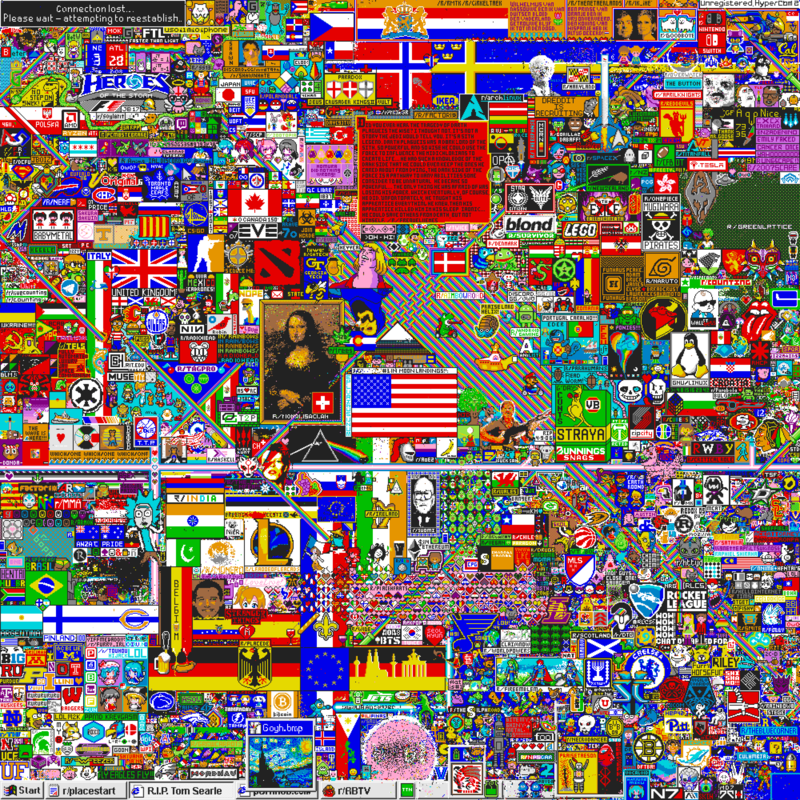 Reddit’s /r/Place is an ongoing social experiment that provides a fascinating glimpse into Internet culture and community. The concept is simple: Place is a collaborative canvas that any registered reddit user can ‘draw’ on. Place allows you to draw one pixel at a time. In order to draw another pixel on the canvas you must wait 5 minutes. ‘Individually you can create something. Together you can create something more,’ is Place’s motto. This simple idea has brought together the thousands of active communities/subreddits that make up reddit. Groups of artists, geeks, vandals, and trolls have banded together to stake out their territory on Place (or sabotage someone else’s).